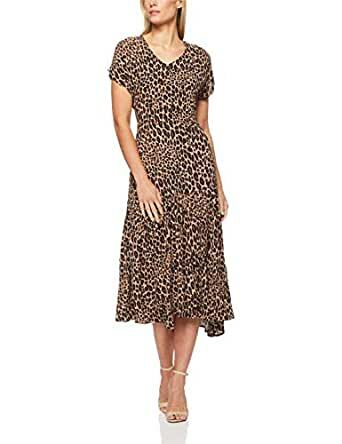 This maxi dress features an all over animal print, perfect for staying on trend. Made from our best selling Viscose dress fabrication. Centre back zipper, assymetric ruffle hem and V neckline.